We are one of the trusted names of the market instrumental in offering an excellent range of Auger Filler Machine to the clients. 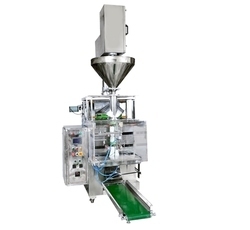 Semi Pneumatic Auger Filler Machine are designed, fabricated and packed in compliance with the international quality standards, with the assistance of our team of experts. 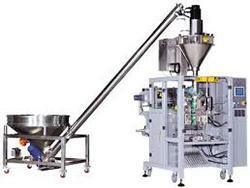 Besides, our quality controllers check these machines to gauge their defect-free nature, before their dispatch. We are one of the trusted names of the market instrumental in offering an excellent range of Salt Packing Machine to the clients. 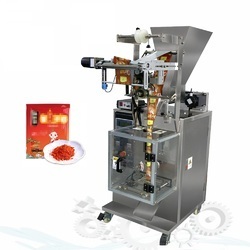 Semi Pneumatic Auger Filler Machine are designed, fabricated and packed in compliance with the international quality standards, with the assistance of our team of experts. 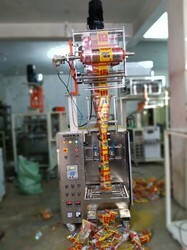 Besides, our quality controllers check these machines to gauge their defect-free nature, before their dispatch. 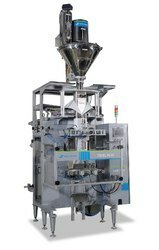 Manual Auger Filler Machine offered is offered under model SPCS 900V and works on voltage (V/Hz) 220/50 with power (W) requirements of 230. For smooth and consistent performance, the system comes with 1.5 hp three phase motor support and allow packing in weights of 500gm to 1000gm. 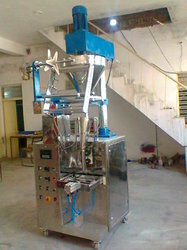 Some of its features include stainless steel 304 grade funnel screw, 20 kg stainless steel hopper support, choice of motor availability in single phase, allows scale feedback for precision weighing, system driven by electric motor at top of auger, agitator support for keeping feed to centre of auger, provides for maintaining constant head pressure, PLC support for sending signal to auger drive system among others. Note: All motor also available in single phase also. 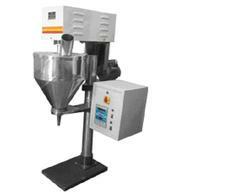 Looking for Auger Filler Machine ?